There is an important connection between a woman’s oral health and her overall health. It’s called the “Mouth-Body Connection,” and it means that certain dental conditions like gum disease, can severely deteriorate her body, especially her lungs and heart, and it can also lead to a host to other conditions including Alzheimer’s disease and even some Cancers. Throughout her life cycle, women should be aware of these hormonal and oral/overall health connections. It’s very important for women to maintain their dental care appointments so that their dentists can check them for gum disease and other concerning dental issues. Oral birth control: Inflamed gums are a common side effect of taking the pill. Dr. Korenman and his staff can give you suggestions to protect your gums and teeth. 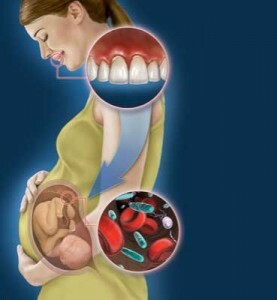 Additionally studies have shown that bacteria responsible for tooth decay are passed from the mother to the child in utero. The more frequently you give in to the craving for sugary snacks, the greater the chance of developing tooth decay. Women are encouraged to call their dentist for an appointment as soon as they learn they are pregnant. Menopause: During menopause, changing hormone levels can cause various mucus membranes to dry out including salivary glands, often leaving menopausal and postmenopausal women with a persistent feeling of dryness in the mouth. Other oral changes that may occur during menopause are red or inflamed gums, mouth sores, bad breath, burning sensations, and altered taste, especially salty, peppery or sour. The health of your mouth can be a sign of your body’s health. Mouth problems are not just cavities, toothaches, and crooked or stained teeth. Many diseases, such as diabetes, heart disease, and some cancers are linked with oral health problems. 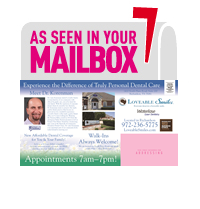 Regular dental exams help you maintain good oral health and avoid related health problems. At Loveable Smiles, we practice Total Health Dentistry and educate our patients on the “Mouth Body Connection.” Additionally, we check all our patients for gum disease. We urge you to tell your mom to call Loveable Smiles for your Total Health Dental Care appointment at 972-231-0585. Happy Mother’s Day from Loveable Smiles in Richardson!